We have a wide range of coach holidays to Newquay from short breaks to lengthier holidays and tours so if you are planning a coach trip to Newquay we are sure to have a deal to suit your taste and budget. 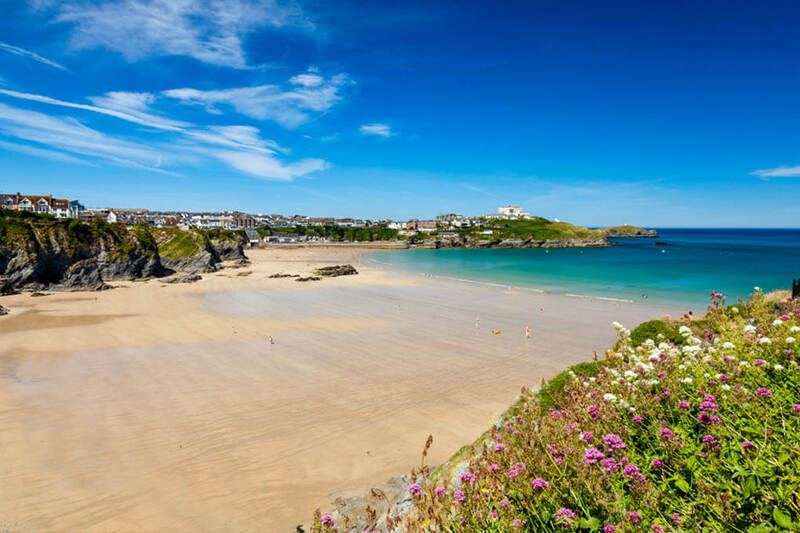 Newquay is a great base for a coach holiday as there are a wide variety of attractions and places of interest to visit in the town and the surrounding Cornwall countryside and coastline. Newquay is Cornwall's most popular holiday destination and has provided fantastic family holidays for generations. Newquay boasts a range of beautiful beaches, a wide selection of attractions to suit the needs of people of all ages, and some stunning views. 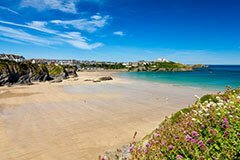 Famous for its surf and relaxed atmosphere Newquay is a superb place to relax and enjoy a coach holiday. Remember, coach holidays to Newquay are most popular in the summer months when thousands of tourists take coach trips to this holiday hotspot on the Cornish coast so try and book early to get the best deal. Two miles of gorgeous golden sand and azure sea make this a fantastic beach for activity lovers of all ages and abilities. A sheltered beach with the high cliffs making it a well shaded option for families during mornings. This lovely beach is also popular with novice surfers. This long, narrow beach flanked by cliffs, is a surf free beach. It is an ideal family beach. Situated at the Northern end of the bay and flanked by high cliffs, Tolcarne Beach is yet another ideal family beach that Newquay has to offer. This the most sheltered of all the Newquay beaches is once again another perfect family spot. Sit and watch the world go by or enjoy the surf that this beach has to offer. This beautiful golden beach with great surf, is perfect for all abilities. The northern end of the beach has a tidal river, which is an ideal place for families in search of more sheltered bathing. Accessible only at low tide and submerged completely at high tide. The beach has a number of large caves exposed at low tide. Situated on Towan Beach in the centre of Newquay, the Aquarium is a wonderful day out for the entire family. Watch the local marine life from the Cornish coast and hundreds of tropical species in the gigantic ocean display complete with underwater tunnel. Newquay Zoo is home to more than 1,000 of the world's rare and endangered animals. Just next to the zoo you can relax in lovely gardens with gorgeous flowers. Whenever you choose a coach holiday to Cornwall you are sure to see many sights and attractions on this amazing south-western county. If you cannot find a suitable coach holidays to Cornwall contact us and let our experienced travel agents help you find your perfect coach holiday to Cornwall or any other destination in England.